Wednesday July 23 was a great day for us at Vancouver City Council! Councillor Adriane Carr (Greens) achieved something really substantial in getting her casino motion passed. The motion is a little technical, so bear with us. Councillor Carr’s motion, which she drafted after consultation with us, contained two parts. 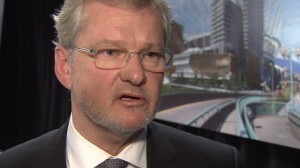 The first part of the motion was that since Michael Graydon, ex-CEO of BCLC crown corporation, was recently found by a BC gov’t audit report to be in serious conflict of conflict of interest when he took the position of CEO of Paragon’s Edgewater division, the City should write to the Gaming Policy and Enforcement Branch (GPEB) to demand his removal in the interests of integrity and public trust. 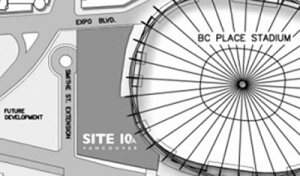 The second part asked that a restrictive covenant (RC) be placed on the casino site (“Site 10”) at BC Place preventing any increase beyond its current 600 slots and 75 gaming tables. While these numbers are already in the zoning by-law for that site, the RC significantly protects the commitment to no further gambling expansion on Site 10. It is also the only real protection against any change in legislation at the provincial level. We must also thank George Affleck for agreeing to second the motion. He required that some minor amendments be made to it, but they were amendments that all parties accepted. After the debate some further amendments were made by the mayor and Vision-dominated council but we all considered them friendly amendments. The motion passed unanimously. We would like to thank each and every councillor for their vote. Everyone did the right thing, so huge thanks to all. Here is the motion that finally passed. A. THAT the City of Vancouver write to the BC Gaming Policy and Enforcement Branch requesting that they follow the Gaming Control Act (Division 3 Sections 68 and 69) which gives authority to impose conditions on a gaming license holder if there are concerns over the integrity, lawful conduct or management of gaming. C. THAT City Council reaffirm Council’s decision on April 19, 2011 to place a moratorium on any and all applications to expand gambling or gaming facilities in the City of Vancouver. Onward! Our next job? Stay tuned. 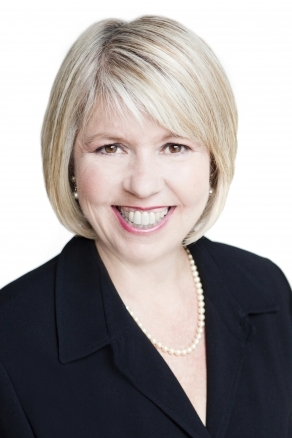 We are asking our supporters to come to City Hall on WEDNESDAY July 23 [NOTE: this is a change from Tuesday July 22] to support a motion being put forward to Vancouver City Council by CouncILLOR Adriane Carr. WITH YOUR HELP we can force Michael Graydon’s ouster as CEO of Paragon Gaming. We can get Council to impose a restrictive covenant banning gambling expansion on Edgewater’s new site. Councillor Adriane Carr will table a motion on Tuesday, July 22, asking that Vancouver Council request the Gaming Policy and Enforcement Branch to direct his removal, AND for an anti-expansion restrictive covenant to be placed on the BC Place lands as a Development Permit condition. The motion will then be put forward to Wednesday for discussion. WE NEED YOU TO COME TO COUNCIL AND SPEAK TO THIS MOTION (if speakers are allowed, and we’ll know that on Tuesday) ON WEDNESDAY MORNING at 9:30. Please register by CALLING 311 before 5 pm on Monday, or by REGISTERING IN PERSON on Tuesday by 9:15. Say you want to speak to Councillor Carr’s motion B4. Tell City Council that Michael Graydon and Paragon Gaming have to pay for their misconduct. We need government with the guts to say no to special treatment for insiders.